Our beautiful 2 story condo with all tile floors has everything you need. Two master bedroom plus private room with sofa bed. The beach called carlin park is located across the "Heart trail park", 1/5 mile away. The condo has everything you need, linens, towels, fully equipped kitchen. We have high chairs and pack n plays! Watch our Youtube video located at the end of the picture slideshow above! Unfortunately NO TRUCKS are allowed to park on the Bella vista property. Great condo. We stayed with our 2 year old and between the pool and Carlin Park and the beach there was plenty to do. Amanda was very responsive to all our needs . The apt was clean and we enjoyed it very much. We loved our stay here. Great for kids. Close to beach, parks, restaurants and groceries. Beds were creaky, but still comfortable. Really great A/C, nice porch and loft area. Plenty of bathrooms. We would love to come back and stay again! Let me start by saying this was my first VRBO and it was amazing, Amanda was so much more than accommodating, her place is very clean, well equipped, super location, and makes you feel at home. Its a short walk to the beach, exercise trail right out your back door, close to stores, sites and restaurants. I called Amanda to let her know the beach chairs were broken and within a few minutes she offered and did bring me two brand new ones. I was very thankful as I know those items are extra perks that she provides her guests. This is just one instance of her wonderful hospitality. I can't say enough about Amanda and her condo, I hope to get a chance to rent from her again in the future. A friend and I were in town for an event, and we stayed here for 5 nights. It was just what we needed, and so much better than a hotel! Amanda was kind enough to ship back something I left, too! Très belles vacances au bord de la mer. Le condo est très propre, bien décoré et très bien équipé. Tout est conforme aux photos sur le site. Le condo est à 5 min. De marche de la plage. La plage est très longue, le sable blanc et l'eau très chaude et claire. C'est un coin tranquille, peu de gens sur la plage donc idéal pour se relaxer. La propriétaire est très sympatique et avenante. Nous avons eu un problème de connexion internet à notre arrivée et elle a aussitôt contacté le fournisseur de service pour régler le problème. Vraiment un très bel endroit pour les vacances, nous y retournerions sans hésiter! This is how a vacation rental should be!! We came to Jupiter for a baseball tournament and could not have found a more perfect place to stay. The condo is top notch. This is an owner "who gets it". The condo was well stocked with everything from beach chairs and coolers to a well stocked assortment of spices in the cabinets. 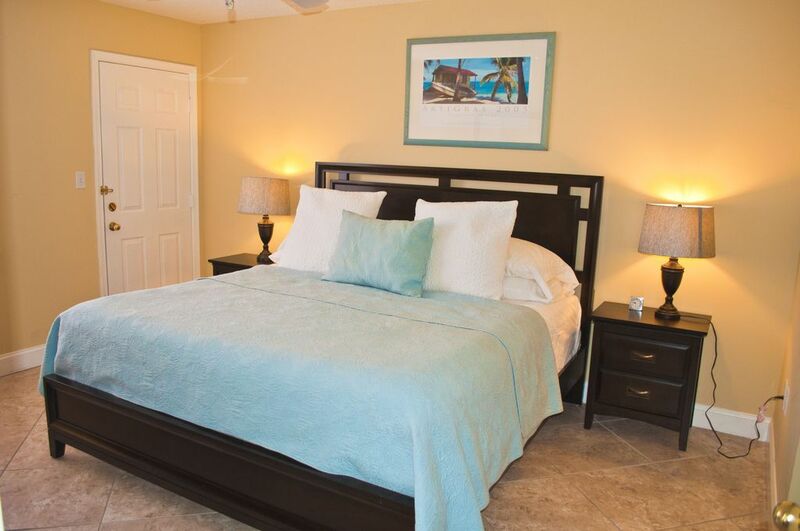 Physically, it is very clean, excellently decorated and located within walking distance to numerous restaurants, stores and the beach. I was impressed with the pictures and video that accompanied the listing, but the actual unit is even better than advertised. If you are planning to stay in the Jupiter area; this is your place. The next time I am in the Jupiter area, this will always be my first choice. Cross the 1 1/2 mile heart trail park to famous and beautiful Jupiter Beach and Carlin park. Loggerhead cafe is a great breakfast place 3 min walk away by ocean. Tennis, Heated Pool, Hand Ball and Bocce Ball.